I’m finally getting around to finishing this up. Taking the time off for a rally means having to make it up when you get back. Still very much worth it though! 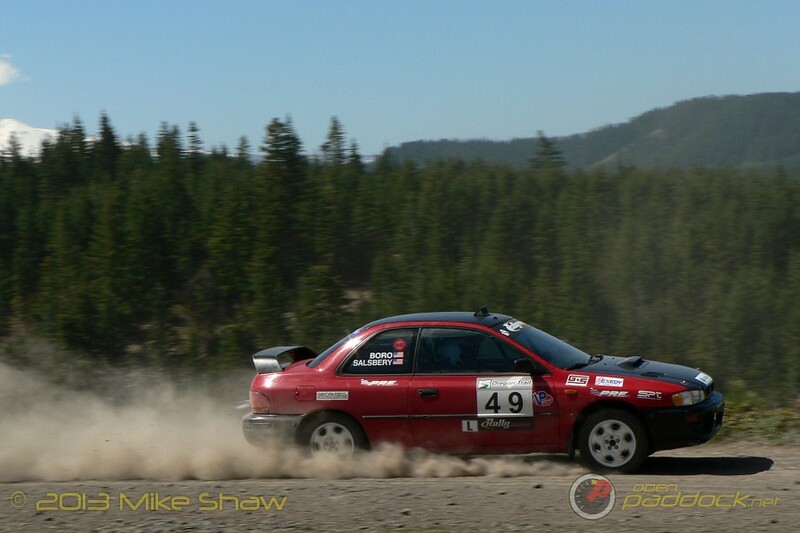 Day 3 of the Oregon Trail Rally is all about speed. Those teams that survived to make it to the final day of the rally would be treated to the open rolling hills east of the Mt. Hood forest. Here the roads are smooth, fast, and flowing with hardly a tree in sight. 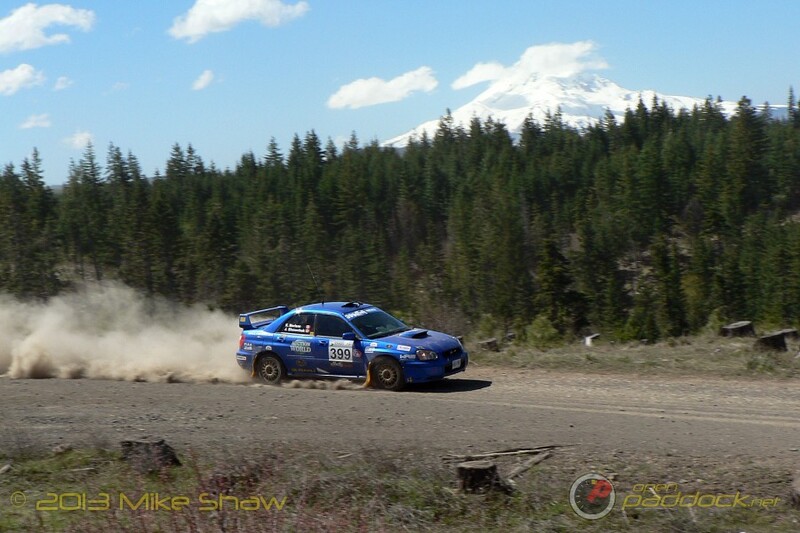 Drivers should be able to hit their maximum speed at multiple points during the final day, however they need to be careful because the final 7.8 mile stage is finishes in the forest on the car breaking rough stuff. Subaru Rally Team USA had a commanding lead of over two minutes going into the final day, so as you can imagine David Higgins wasn’t going to push too hard. 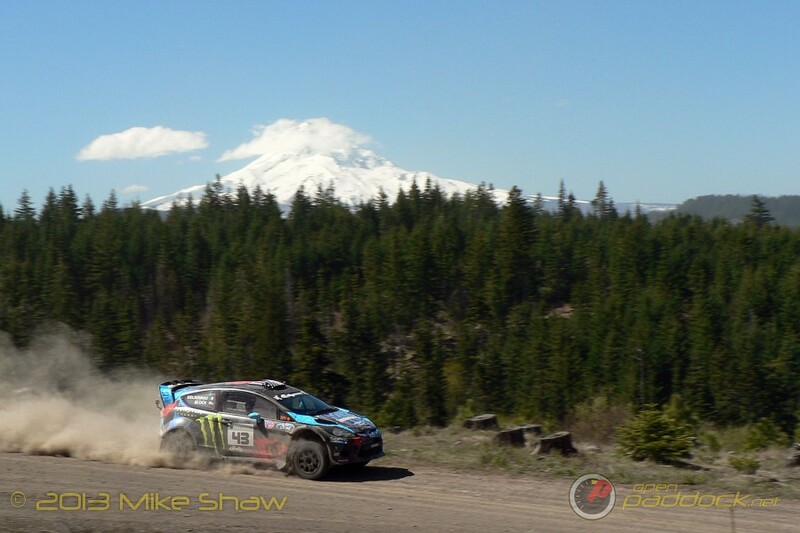 That gave an opportunity for Hoonigan Racing Division’s Ken Block to make up some ground, and make it up he did. 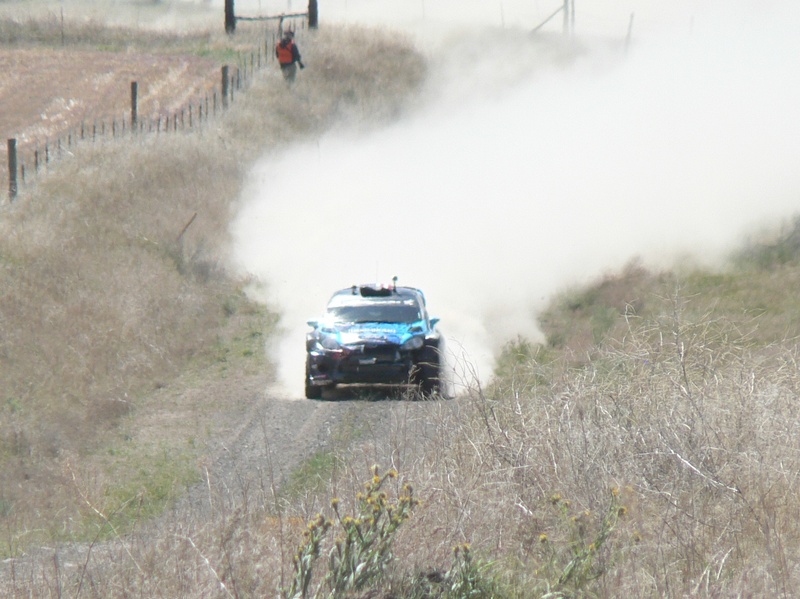 Winning all of the last day’s stages, Ken Block and Alex Gelsomino gained an impressive 60.9 seconds on David Higgins and Craig Drew. It makes one wonder what might have happened if Ken didn’t have the issues he did on Friday and Saturday. 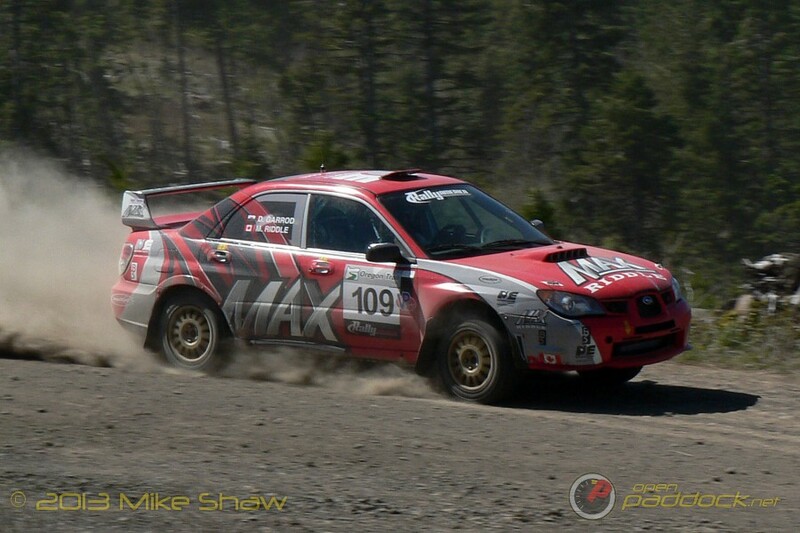 Also showing great pace on the final day was Fastron World Rally Team driver Rifat Sungkar and co-driver Marshal Clark. 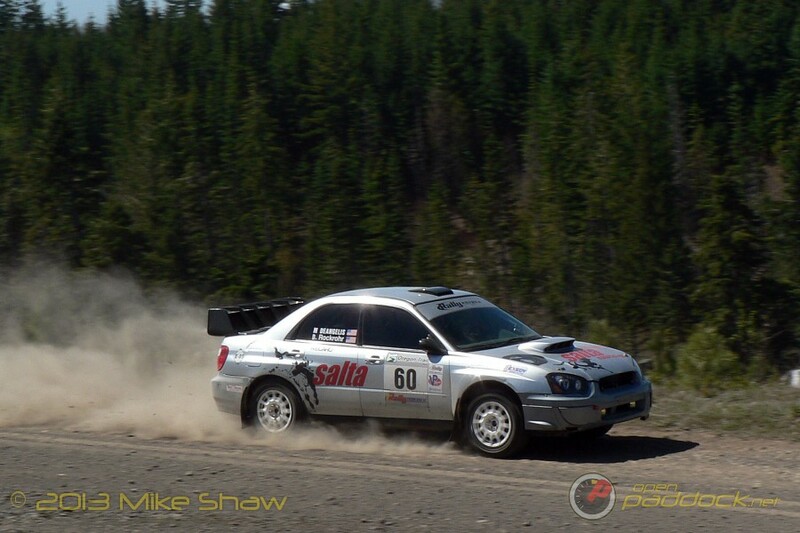 By the end of the stage 14 Rifat had passed up Super Production driver David Sterckx for 3rd place overall. It wasn’t smooth sailing for him though as on the final stage he hit a rock that caused a puncture and he had to drive a few miles on the rim until crossing the finish. When they went to repair it, their jack broke and then they realized the oil pan had been breached and they were out of oil. Lucky for them, the Rally America rules allows for a fellow competitor to help and tow them back to service. In Super Production it was all David Sterckx as he won every stage on Sunday. In fact, Sterckx won every stage in his class except for two over the entire event. 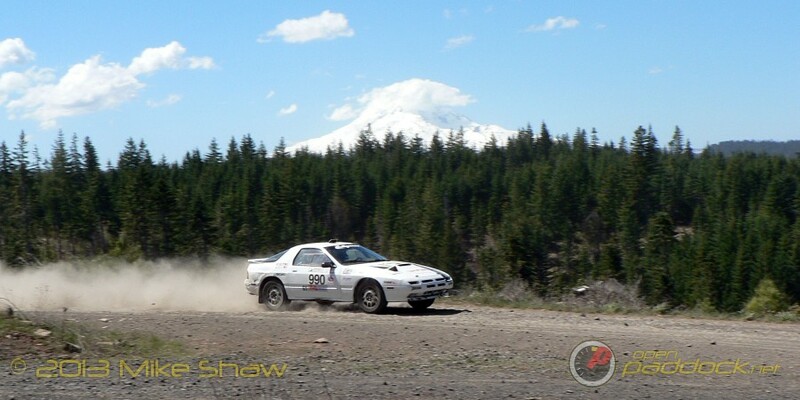 David said that this was because Oregon Trail was his first rally that he has competed in twice and had good recollection of the stages, his setup, etc. 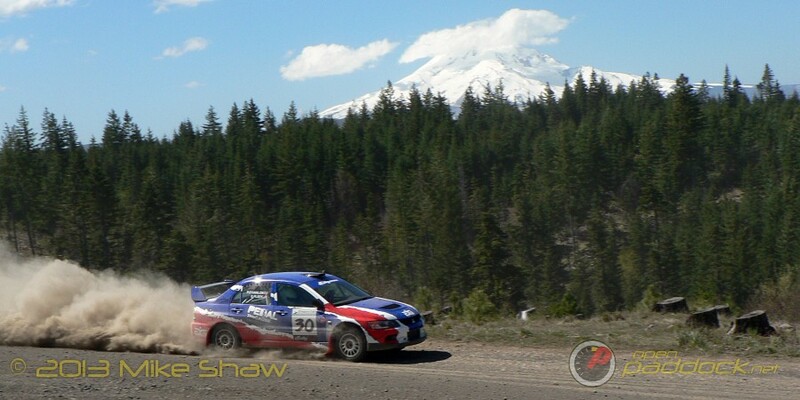 The close battle between last year’s Super Production champion Lauchlin O’Sullivan and Hood River local driver Dave Henderson continued with O’Sullivan winning the first stage of the day and Henderson winning the next two. With just two stages left Henderson led by a scant 12 seconds. I was at the end of SS16 waiting for O’Sullivan to come to the stop line when he didn’t show up. 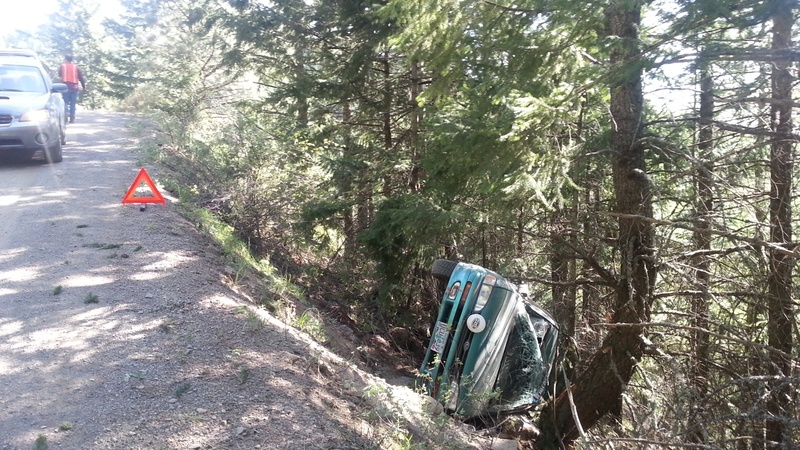 Soon word came over the radio that car #90 had gone off the road. Rival Dave Henderson was rather upset as he enjoyed the battle they were having and wanted them both to finish. 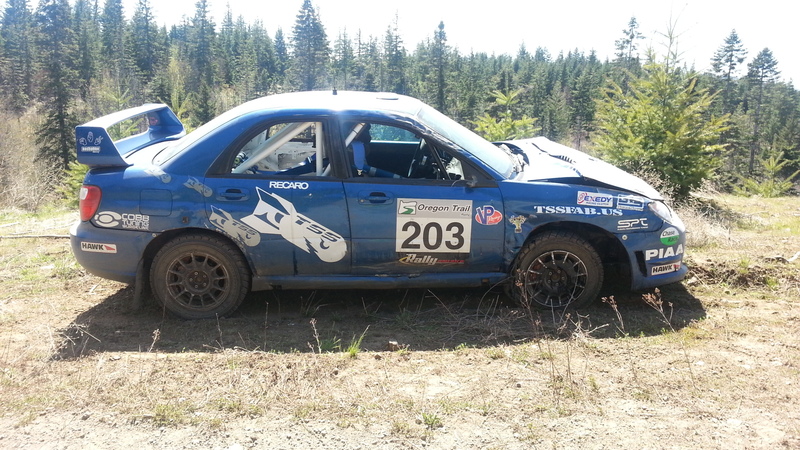 Back in 2wd…which is actually a very incorrect statement with how fast Brendan Reeves has been. Going into the final day Brendo and sister Rhianon were 5th overall. They said they wanted to push hard on Day 2 as the more open stages on Day 3 would benefit the faster top speeds of the turbo cars driven by Andrew Comrie-Picard, Dillon Van Way, and Chris Greenhouse. Well it was no worry because their Fiesta R2 still won 4 of the 5 stages on Saturday. Brendan Reeves actually did one better than David Sterckx in winning all but 1 stage in his class over the weekend. 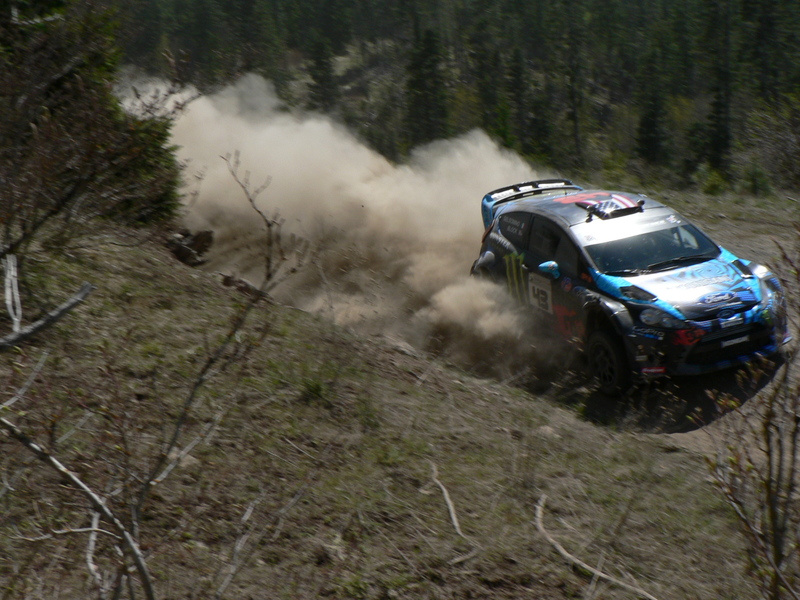 That one stage was SS14 where ACP and Van Way took away what otherwise would have been a Loeb-esque perfect rally. ACP was happy with his car until the final stage where his car started overheating again and he lost power and time to then 3rd place Dillon Van Way. 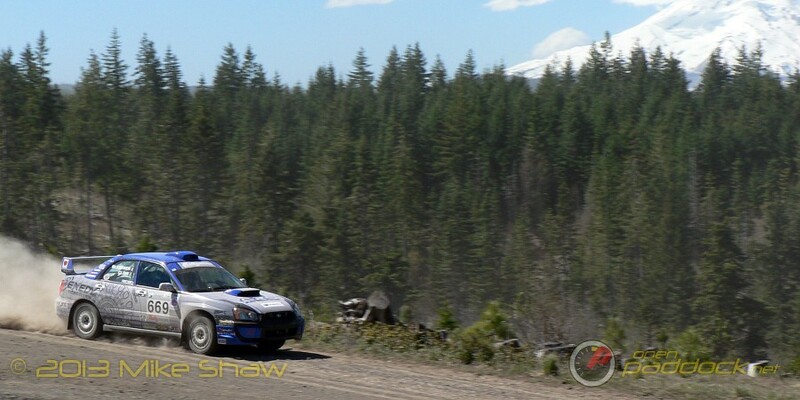 As you all well know by now, Subaru Rally Team USA’s David Higgins and Craig Drew kept their commanding lead and won the event overall for a 3-peat at Oregon Trail. The best quote of the entire weekend came from Higgins saying “Sometimes its what you don’t do that wins you a rally.” So very true. Ken Block and Alessandro Gelsomino showed an inspiring Never Give Up attitude in their Hoonigan Racing Division Ford Fiesta despite mechanical issues. Their perseverance was rewarded with the second place on the podium. Newcomer Rifat Sungkar from Indonesia and driver of the Fastron Rally Team EvoX was able to grab the 3rd podium spot with some great support from the highly experienced co-driver Marshall Clark. 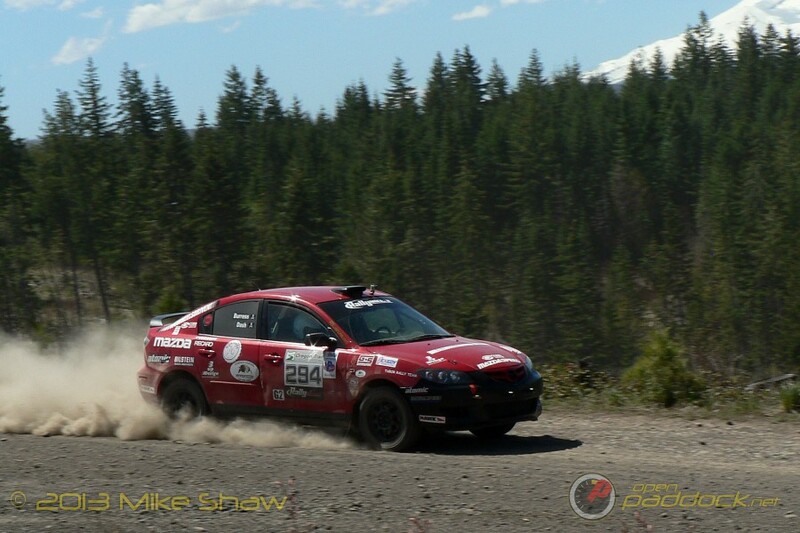 Rifat showed great pace and after more experience with the faster American Open Class car he could become a bit of a threat at the remaining events. 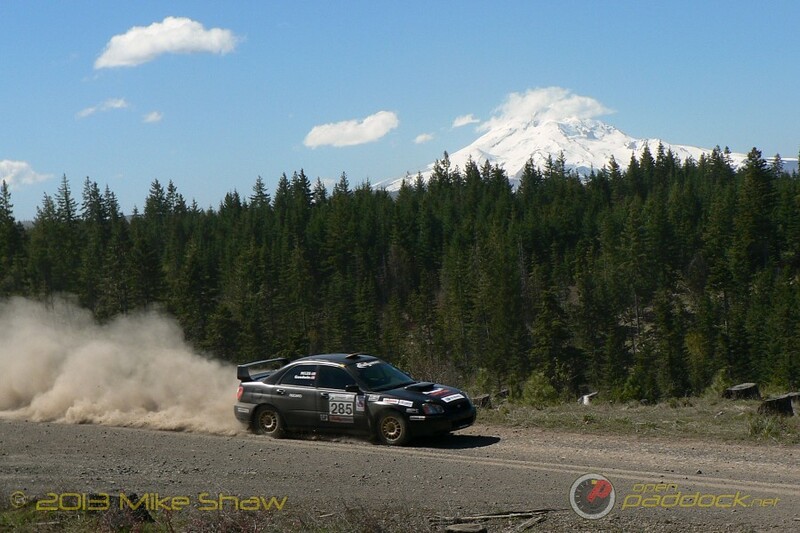 David Sterckx and Karen Jankowski made it two in a row for wins at Oregon Trail in their Ardeca Lubricants sponsored 2011 Subaru STi. David credited his Pirelli tires for avoiding punctures and his Subaru engine for not giving up despite the fact that it was off song from Day 1 and could have blown at anytime all weekend. Sterckx not only won Super Production, but also claimed 4th overall and had a huge 4 minute gap to second place. 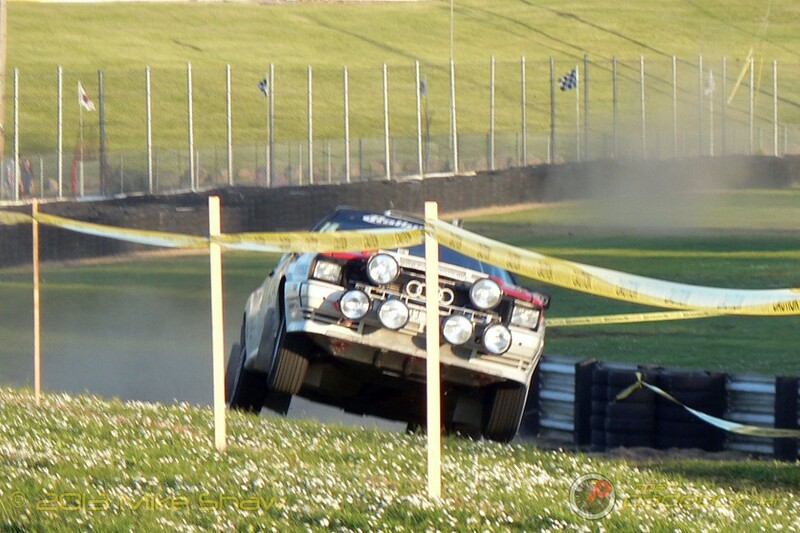 And that’s despite this being only his second year ever competing on gravel. 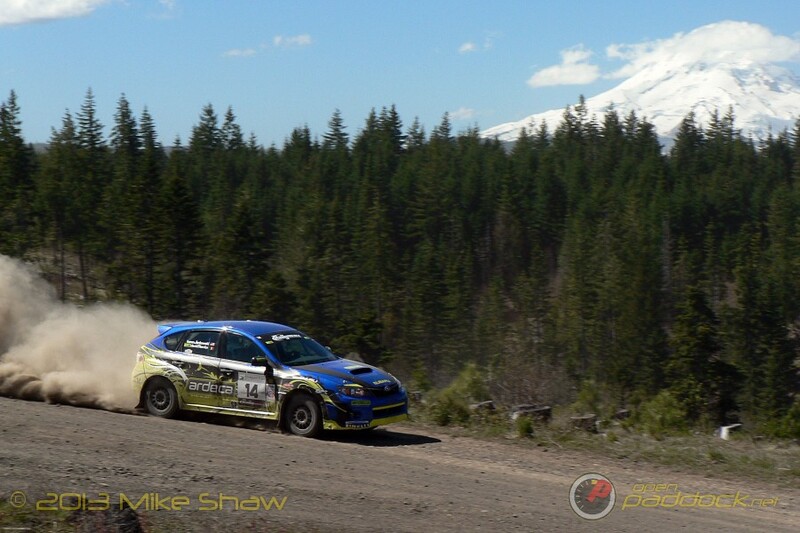 Dave Henderson and co-driver Terrence McDowell of Hood River, Oregon were able to hold it together for the last two stages and grab second spot in Super Production despite having the pressure of closest battle of the entire weekend. 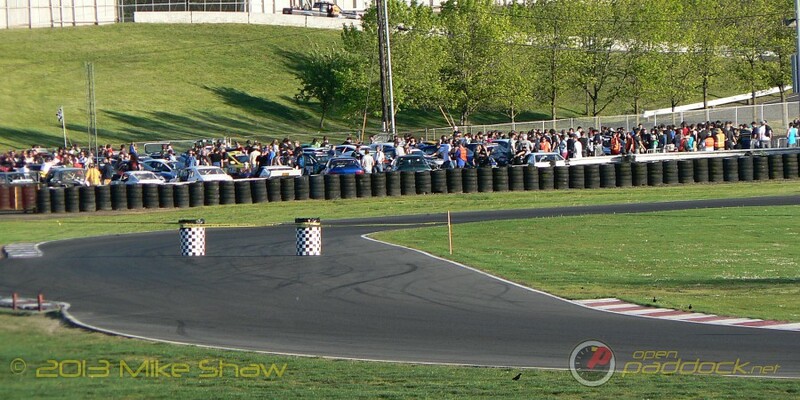 Local fans and family cheered Dave’s second podium in two years and he did it in (this is not a joke) a Craigslist salvaged 2004 WRX STi. Amazing! 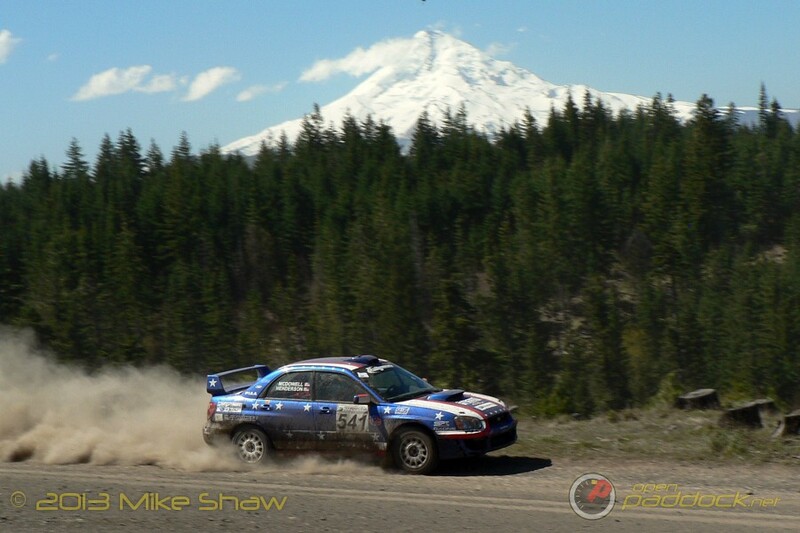 The final podium position in Super Production went to yet another local driver, Mike Goodwin with co-driver Michael Milos of Portland, Oregon. 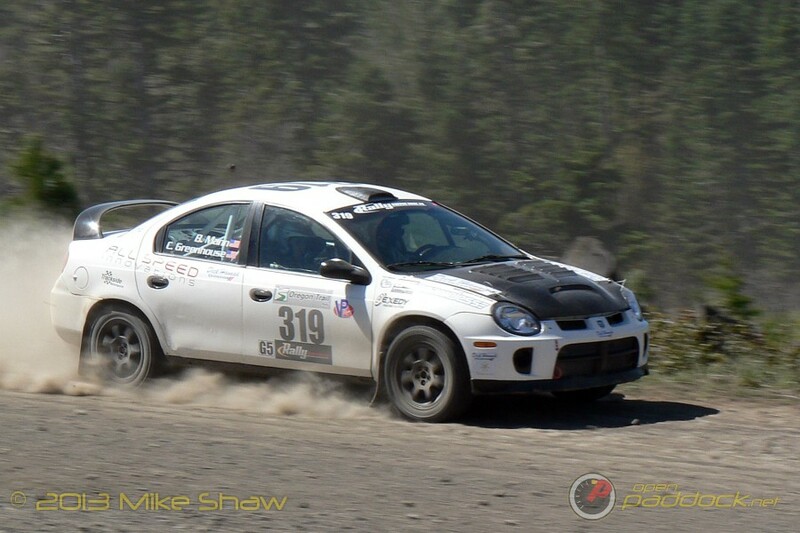 Originally 3rd was given to Evan Cline until a timing error was discovered giving Goodwin and Milos their 2nd Rally America podium in less than a year. And what can I say about 2wd? First of all, 2wd isn’t anything like it was just a few years ago. With the right setup and the right driver these little cars can be every bit as fast or faster than most Super Production class cars (or even a few in Open Class entries). 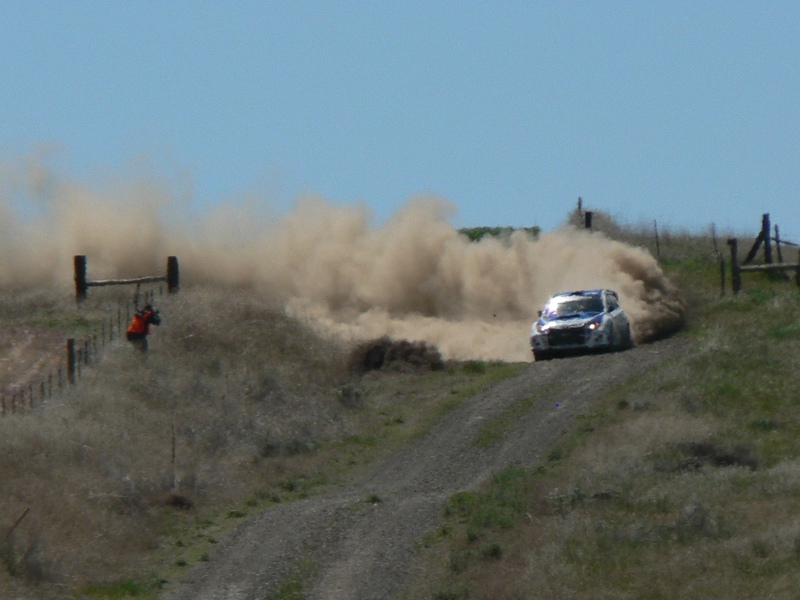 At Oregon Trail Rally the right driver was most definitely Brendan Reeves from Wedderburn, Australia and the right car was the Ford Fiesta R2. Brendo and his co-driver sister Rhianon Smyth were visibly quicker than most everyone on a rally that is hard enough to complete, let alone win. 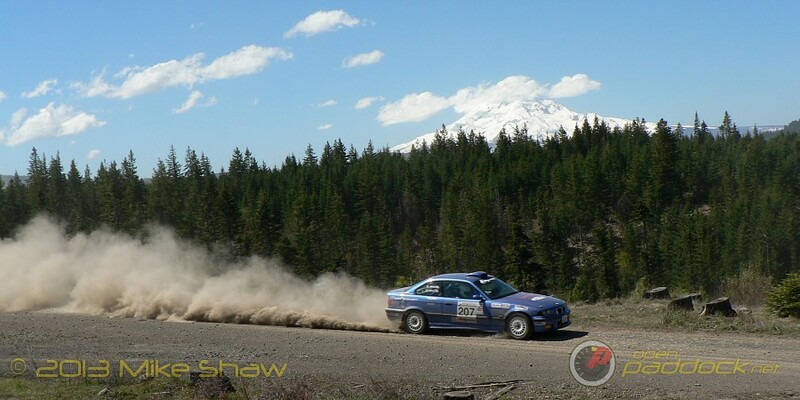 This is the second year in a row that Australians claimed the top spot at the Oregon Trail Rally in the 2wd class. 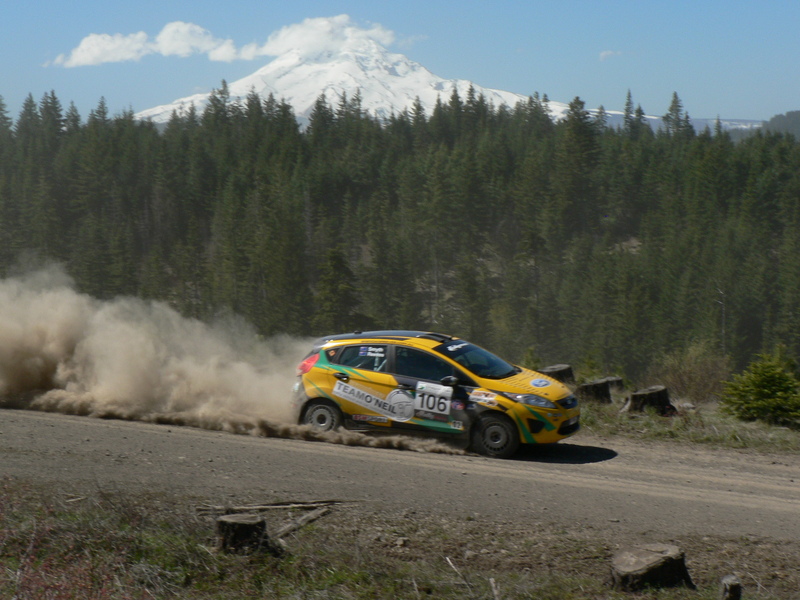 Dillon Van Way with his new co-driver Andrew Edwards were able to finish with their turbocharged Ford Fiesta ahead of the factory Scion squad for second position. And even with all their mechanical issues, Andrew Comrie-Picard and Jeremy Wimpey were able to still make it to the podium placing 3rd. As much as I like to complain about the ugly duckling that is the Scion xD rally car, I have to give huge props to the factory Scion team and to ACP for making it a successful rally package. It may not be pretty, but it can be quick. 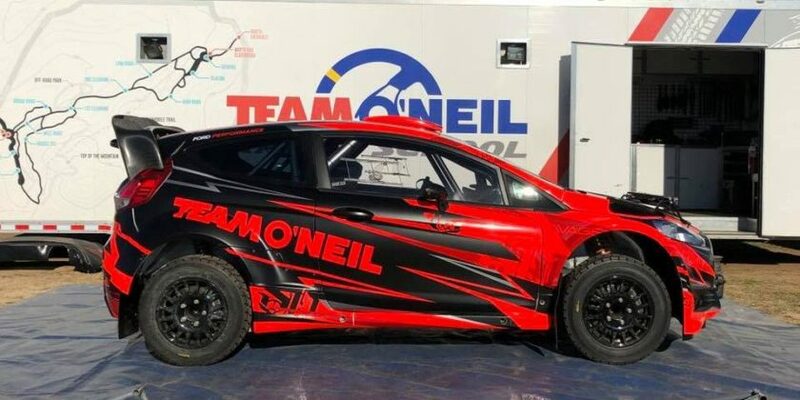 The Scion team had a lot of issues at the Oregon Trail Rally, and it will be interesting to see what pace they can have vs. Reeves at the next round with their car running properly. 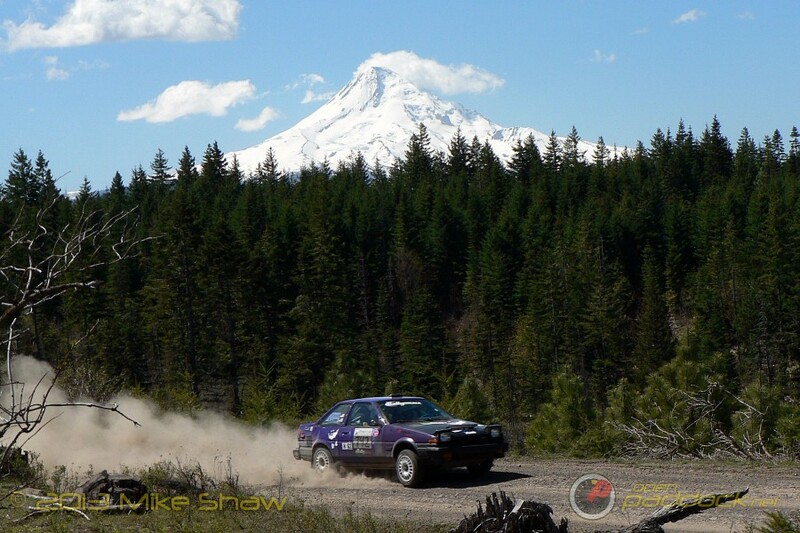 How many times have you ran the Oregon Trail Rally? How many times have you finished it? 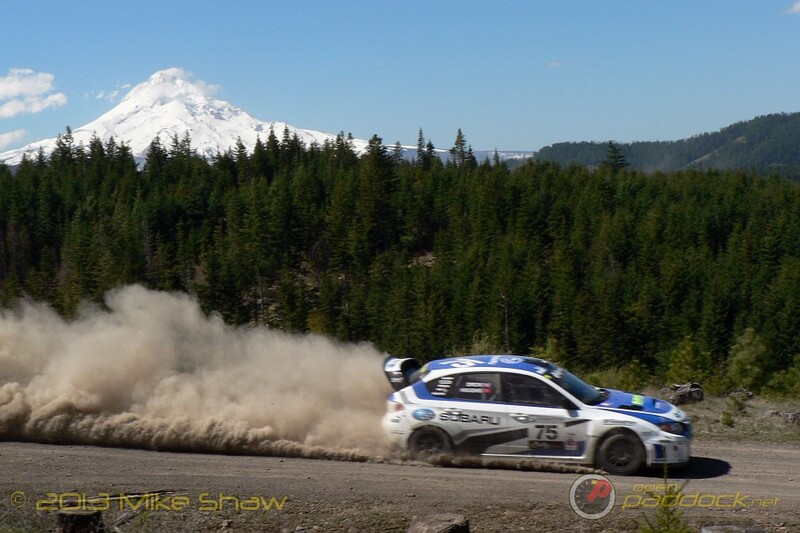 An interesting side note is that of the top drivers at Oregon Trail, David Higgins won 5 stages to Ken Block’s 10 stage wins over the event. Even Antoine L’Estage was able to pull out 2 stage wins of his own before their massive crash. What this means to me is that these drivers and cars are quite a bit more evenly matched than what we might have assumed. 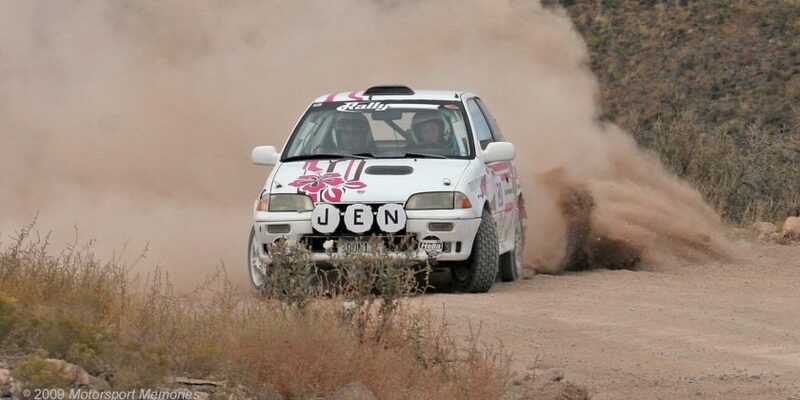 In a rally without mechanical issues or mistakes it could have been anyone’s win. 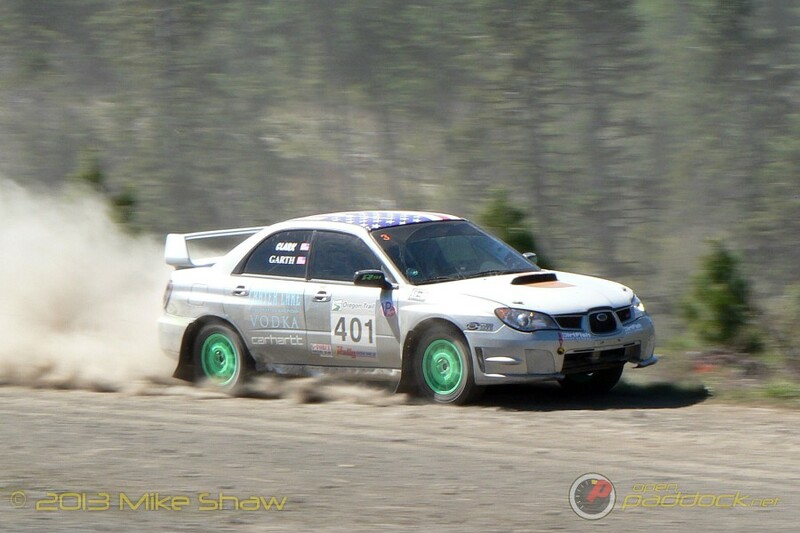 Next up is The Waste Management Susquehannock Trail Performance Rally in Wellsboro, Pennsylvania May 31st – June 1st. Until then, keep the shiny side up! 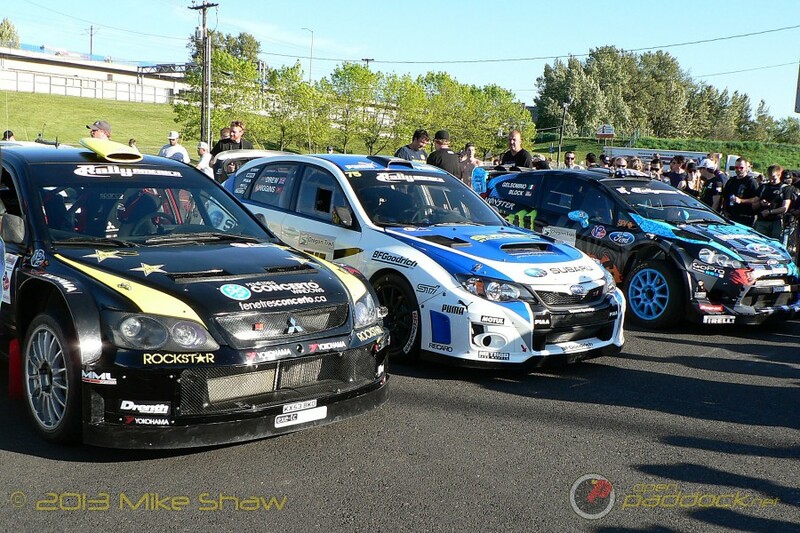 Global Rallycross Championship Round 2 – Epic Fail!